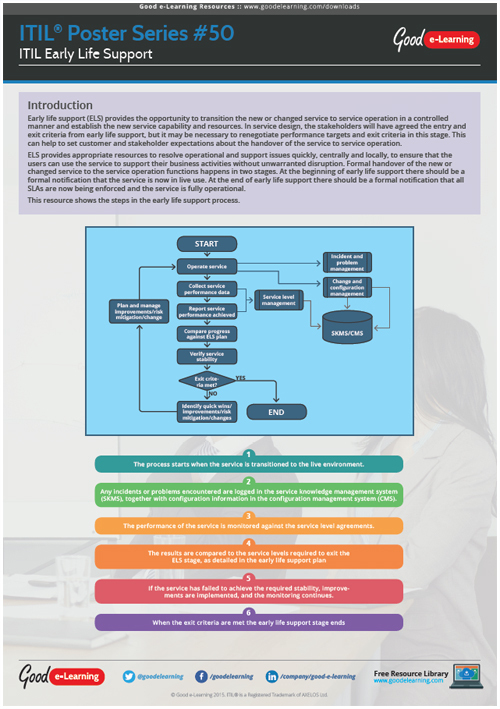 Our latest ITIL poster is an examination of the Early Life Support process. This is useful for students studying Service Transition and Release, Control and Validation. This poster details the process which builds step by step.